New Delhi: The Indian government has taken note of the film industry in the Union Budget presented on Friday, ahead of the General Elections scheduled later this year and has provisioned for single window clearance for film shooting for all Indian films across the country. Earlier only foreign films enjoyed the privilege of single window clearance. The new provision means that Indian filmmakers will now not have to gain multiple permissions to film at different locations. The government has also taken note of the huge losses the move industry incurs thanks to theatrical piracy and aims to introduce anti-camcording measures in cinema halls to curb the same. The details of how this will be done, are however, not known yet. 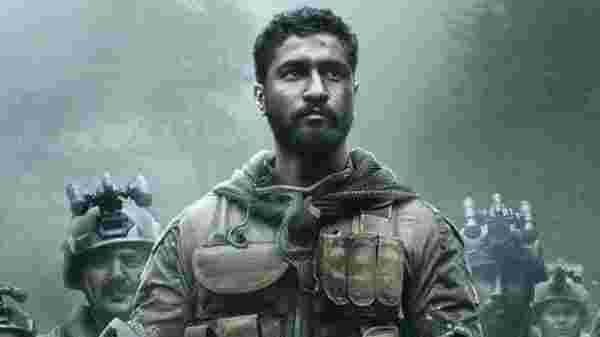 Vicky Kaushal-starrer Uri: The Surgical Strike that’s reigning the box office also found mention in finance minister’s budget speech. Goyal said the strong theme of the film that has just been declared tax-free in Uttar Pradesh needed to be recognized to give further fillip to the industry. Late last year, the government had reduced tax rates for movie tickets to 18% from the 28% proposed previously by the GST Council. Cinema had earlier remained part of the highest tax slab, wherein film tickets whose price exceeded ₹100 were subject to 28% GST, while those below the rate worked with 18%, resulting in high ticket prices for movie-goers. To be sure, the Indian film industry seems to have gained much favour from the government of late. Last month, Prime Minister Narendra Modi met Bollywood’s young delegation to discuss possible ways that the entertainment industry can contribute to nation-building. Ranveer Singh, Ranbir Kapoor, Alia Bhatt, Bhumi Pednekar, Ayushmann Khurrana, Ekta Kapoor, Karan Johar, Rohit Shetty, Vicky Kaushal, Varun Dhawan, Rajkummar Rao and Sidharth Malhotra were among those who met the PM.